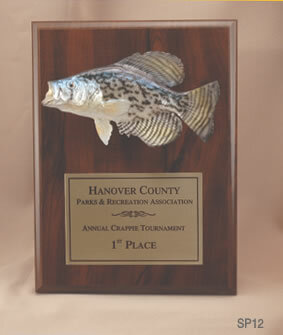 Our fish figures are hand made and hand painted by wildlife artists in Virginia. 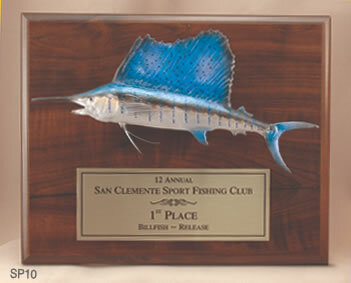 These awards are very popular with fishing tournaments and with charter captains participating in catch and release programs. Please click here for available species. 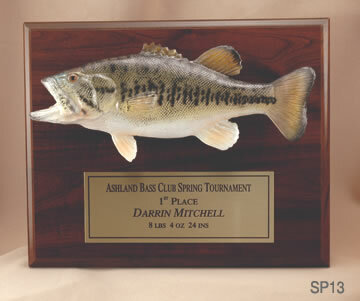 SP13 13" x 10 1/2"